Life is short. Eat dessert first. The Farmhouse Sweets &amp;amp; Treats Cookbook by Melissa Russo features irresistible dessert recipes the whole family will love! 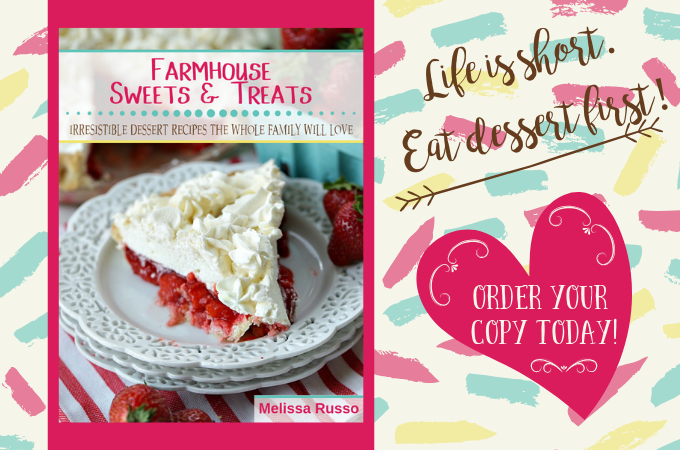 The Farmhouse Sweets & Treats Cookbook by Melissa Russo features irresistible dessert recipes the whole family will love! Melissa is the voice and farm girl behind the popular food and lifestyle website called The Farm Girl Gabs.